Our reputation for catching fish is largely due to the experience and knowledge of our captains Jonathan Gatcliffe, Tyler Maltby, Aaron Batten, Chris Berry, and John Streckewald and their desire to give our guests the most exciting fishing trip of their lives. Our St Thomas deep sea fishing charter fleet consists of two 35 ft. center console, diesel powered, open fishing boats with a large T-top covering all seating areas. These are fully equipped including a marine head for your convenience and full electronics for your safety and enjoyment. Our 40' Dorado with an open galley, small cabin and head rounds out the fleet. This boat seats six passengers comfortably inshore or offshore, has a fighting chair and is powered by a 450hp inboard Cummins. 35 ft. center console - 6 passengers Max - In Shore & Off Shore 1/2 Day Charter - 4 Hours - $600.00 USD 3/4 Day Charter - 6 Hours - $825.00 USD Full Day Charter - 8 Hours - $1,050.00 USD Marlin Charter - 10 Hours - $1,300.00 USD 40' Boat Rates - 6 passengers Max - In Shore & Off Shore 4 Hours - $700 USD 6 Hours - $950 USD Full Day Charter - 8 Hours - $1,200.00 USD Marlin Charter - 10 Hours - $1,400.00 USD Specializing in Live Bait Fishing! 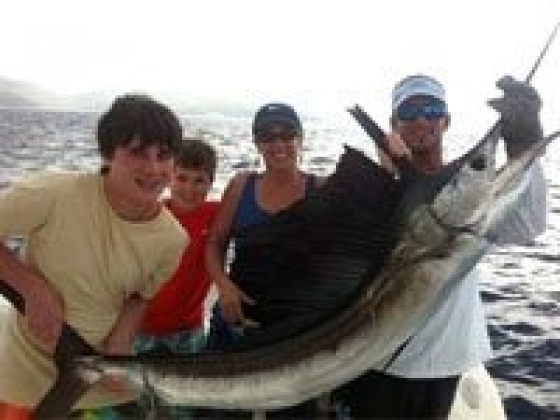 Choose an Inshore (light tackle fishing) or Offshore (blue water excursion). Ask about our monster shark trips. 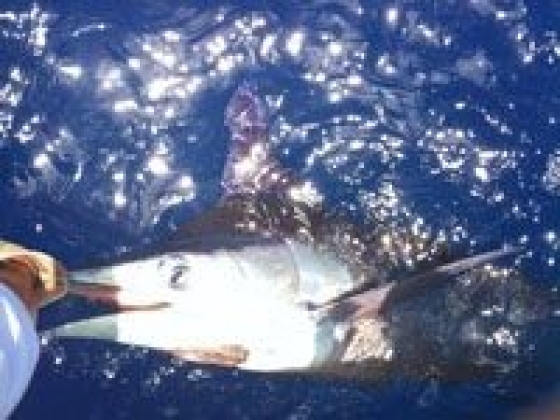 We release all Billfish and do conservation mounts. We offer several pick up locations on St. Thomas and St. John. 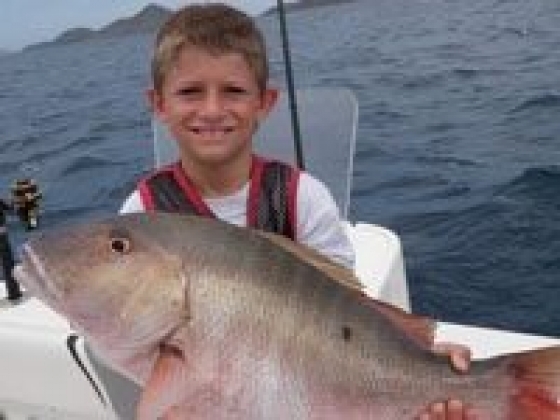 Fish Policy: For Sportfishing charters up to 20 lbs. of fish will be filleted for guests upon request. Cancellation Policy: We require 24 hours notice to avoid payment in full. What to Bring: Hat Sun Glasses Sun Tan Lotion Camera and lots of film! 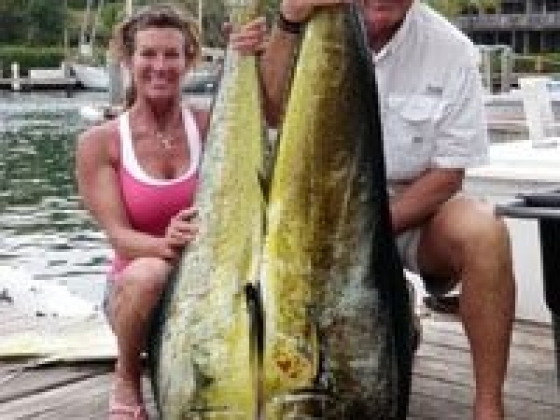 Gratuities are greatly appreciated *Call for current catch report* Tournament Winners 2008 Wahoo Windup 1st Place, Best Boat Award 2009 Wahoo Windup 2nd Place, Best Boat Award Join us in St. Thomas for Deep Sea Fishing Charters with Double Header Sportfishing!